As Donald Trump's assumed the presidency of the United States, researchers here wondered how European media saw the change. 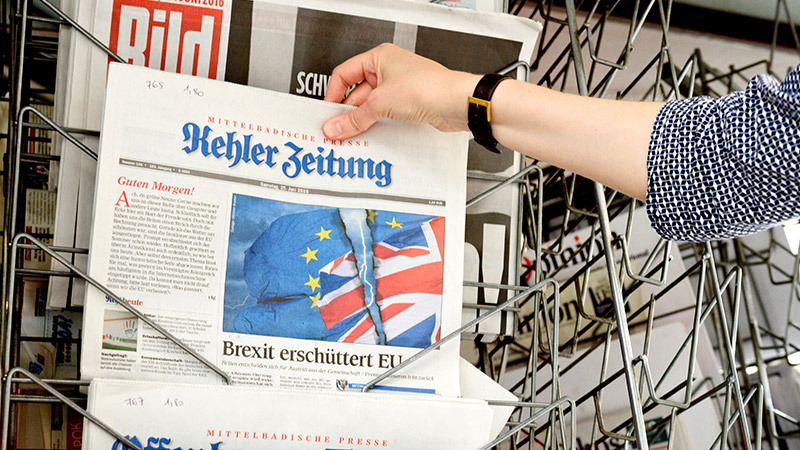 UO journalism doctoral student Thomas Schmidt, a native of Austria, sought answers by collaborating with 11 media research institutes that make up the European Journalism Observatory. In a nutshell, Schmidt and colleagues found that European media outlets felt Trump's dealings will undermine the European Union through deals with Russian President Vladimir Putin. They found "a level of trepidation and concern towards the incoming American president that is probably unparalleled in recent history," Schmidt wrote in a report summarizing the findings. "I found it fascinating to hear from countries as different as Portugal and Ukraine," said Schmidt, a former reporter for Austria's second-largest daily newspaper. "This is not a perspective you often get in U.S. media. All these reports really demonstrate how deeply media in other countries follow developments here in the U.S. And they also show how the strength and value of looking at media coverage in a comparative view." Schmidt's report on the study can be seen at Alarmed, Unsettled, Wary: European Media Ponder a Trump Presidency. The UO's School of Journalism and Communication serves as the U.S. representative of the European Journalism Observatory, an international consortium that conducts and disseminates research in journalism among scholars and practitioners. The school is a regular contributor to the observatory's flagship publication, which is edited by the Reuters Institute for Journalism Study at Oxford University, said Scott Maier, a UO professor of journalism. "Thomas and I saw with the new U.S. presidency a unique opportunity to harness the reporting capabilities of the consortium and its members across Europe," Maier said. "We expected to assess the European view of Hillary Clinton, but the project took on an extraordinary perspective with the ascendency of Donald Trump. Just about every nation in the consortium agreed to monitor its press and to report back on the eve of the Trump inauguration." Maier and Peter Laufer, the school's James N. Wallace Chair of Journalism, are co-directors of the U.S. bureau of the European Journalism Observatory.